Happy Friday, lovelies! I am at the Natural Foods Show in Anaheim all day today, so definitely watch my Instagram stories to follow along and see what’s new in the healthy food space. This show is also known as Expo West and to the trade only. You’ll see a lot of bloggers, culinary professionals, healthcare practitioners, retailers, media, and others sharing highlights. I usually do a round-up of my favorite products and trends afterward. Here’s last year’s post. In the meantime, I have lots of fun things to share with you today! One of the trends I saw at last year’s show was bars – power bars, superfood bars, protein bars, snack bars, etc. Honestly, most of them are like candy bars and are total sugar bombs. I personally do not eat a lot of bars, even homemade ones. But when I travel, they do come in handy. And my son loves them because he often gets hungry unexpectedly and needs the convenience of a bar in his school locker or backpack. 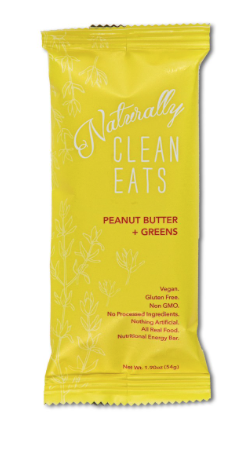 Hands down my new favorite bar is by Naturally Clean Eats. There are no artificial ingredients, sugar alcohols, sugar, protein isolates, or processed ingredients. Every ingredient is real, wholesome, and tastes delicious! There are 7 grams of sugar per bar, 10 grams of fiber and 8 grams of protein. It’s the perfect light breakfast on the go or snack to tide me over until my next meal. There are two flavors, Peanut Butter and Greens and Spiced Chocolate Chip Cookie. Yum! Ok, the downside is that the bars are not cheap. But they use very high quality ingredients, so you get what you pay for! I asked Jessica, the owner, if my readers could have a discount code and she obliged! Use PAMELA25 to receive a 25% discount on your order! I hope you enjoy these bars as much as I do (my fav is Peanut Butter + Greens). 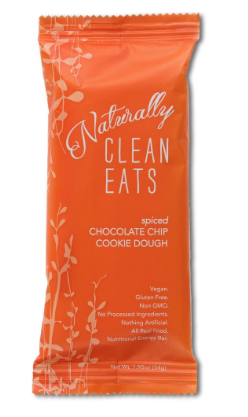 Naturally Clean Eats can be found here. If you know me, then you know I don’t like to waste food! I actually strategize my family’s meals every week based on not wasting anything. I read a statistic that 40% of the food in this country ends up in landfills. That breaks my heart for many reasons. More than 20% of the fruits and vegetables grown in America never make it off the farm because they aren’t perfect enough for grocery store standards. This means that if the produce is a little too small, or slightly asymmetrical, or the color is not quite perfect, it is rejected. Nevermind that the produce is perfectly edible and nutritious. 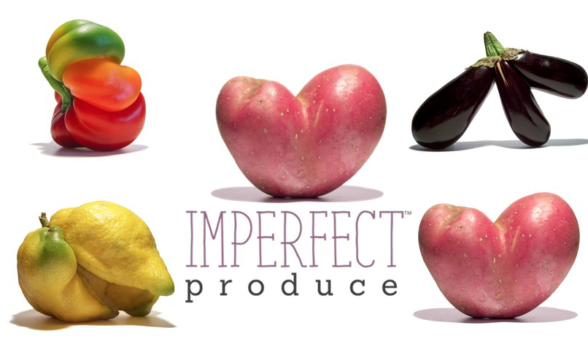 My friend Allison introduced me to Imperfect Produce, a company which is taking those imperfect looking fruits and veggies from farms (you can choose organic or non-organic), and selling them in home delivery boxes. I am absolutely obsessed. I received my first box and there was nothing in it that I wouldn’t serve my family. I received oranges, apples, carrots, cucumbers, potatoes, red onions, grapefruit and fennel. This is an amazing resource for people who struggle with being able to afford organic produce, or just fresh produce in general. But this is a way we can help build a more sustainable and effective food system. I’m into it. At the moment, Imperfect Produce delivers to the SF Bay area, LA, Orange County, Portland metro area, Seattle and Chicago. They are expanding, so check them out to see what they’re all about! Imperfect produce can be found here. Are you interested in upgrading your daily health routine? I have recently been using essential oils regularly and I think they are such an amazing way to build your immune system, reduce stress, and support a variety of common ailments like ear infections, headaches, stress, digestion, skin, sore muscles and even sleep. And who doesn’t need to sleep better? I sat down with one of my students, Rochelle Ludovisi, a holistic health coach and essential oils educator, to discuss which essential oils could benefit me. She represents doTerra, a manufacturer committed to the hightest quality, providing the most tested and trusted oils and deriving them directly from the best sources in the world. An important note: not all “essential oils” are created equally! doTERRA’s oils are therapeutic grade while many “essential oils” found online or even at health food stores have additives and fillers, which reduce their effectiveness. DigestZen – For digestive distress, upset stomach, supports healthy acidity in the stomach. This oil has been incredible for both kids and adults. People apply it topically and can also internalize to stop discomfort very quickly. OnGuard – This is a fantastic and powerful immunity blend. If you feel a cold coming on this has been very powerful in stopping it in its tracks. It is a great immune support blend. This will become your travel companion. Balance – A grounding blend that is so calming and relaxing. Apply to your wrists and feet every morning to support your mind and cellular function. Rochelle also made me a custom immune support blend that I put on the bottoms of my feet every night and I really feel a difference. You can now get these oils at a reduced rate by being a wholesale customer! To get started click HERE. Here’s a link to choose among Rochelle’s favorite kits to start. Rochelle would be happy to place the order for you or answer any questions you may have (rludovisi@gmail.com) and she’ll do a complimentary wellness consult with you once you receive your oils. I’ve said it a million times, it is very confusing to know what to eat with so many diet trends and theories floating around out there. My approach has always been to listen to you body, because we are all very unique and different. Focus on a variety of whole plant foods and limit the animal products. And keep the diet low-glycemic. 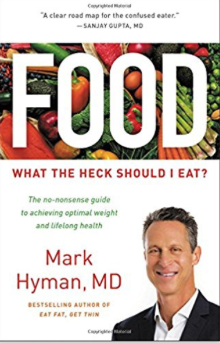 I’m a big fan of Dr. Hyman who touts himself as more of a “pegan,” a Paleo-vegan. I don’t necessarily agree with his theory that all grains are bad, but I do like his approach to animal protein, diary and sugars. His latest book breaks down food myths and theories to simplify what to eat and what to avoid. He also explains how certain foods are not only harmful to the body, but also the environment, which was a plus for me in this book. Some of the more interesting concepts for me were “Coconut Oil has Gotten a Bad Rap,” “You Don’t Need Milk for Strong Bones,” “Fresh Fruit Isn’t Always the Best Choice,” and “Some Natural Sugars are Better than Others.” The book is well-documented, but still easy to understand. If you’ve read Dr. Hyman’s blog regularly or you have any of his other books, I don’t know that this is offering anything different. But if he’s new to you, the book is worth looking at your local bookstore or on amazon. 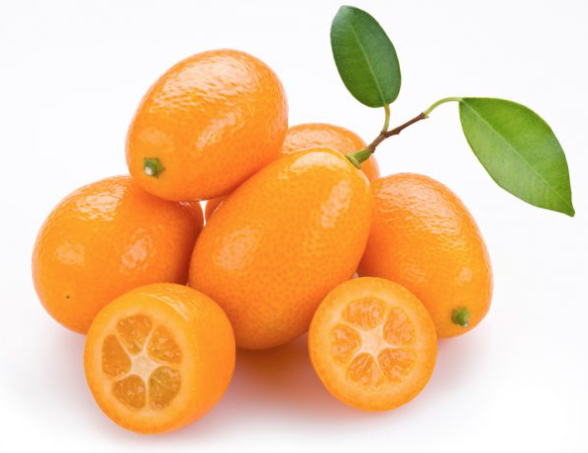 Kumquats look like mini oranges, but are more like sweet and sour rolled into one! I was recently given a few from a friend’s tree and they are absolutely incredible. I eat the whole thing, skin and all. In fact, the skin is actually a little sweet and the flesh is kind of tart. These cute mini fruits taste great by themselves, but they are equally delicious in preserves, desserts, salads, and on yogurt. Medicinally kumquats have been used to cure sore throats and respiratory issues. However, even if you are just eating them for taste, you’ll benefit from loads of antioxidants, fiber and immune-boosting compounds. Here are a few good-looking recipes from around the web. What a week for you! Enjoing reading Dr. Hyman’s book and have been using Doterra oils for years. They are wonderful. Thanks for the inspiration. Hope you are planning some events on the east coast this summer! Great to hear! We’ll see about events on the East coast. Fingers crossed! Sweet! Can’t wait to see what other finds you love! Thanks for sharing!